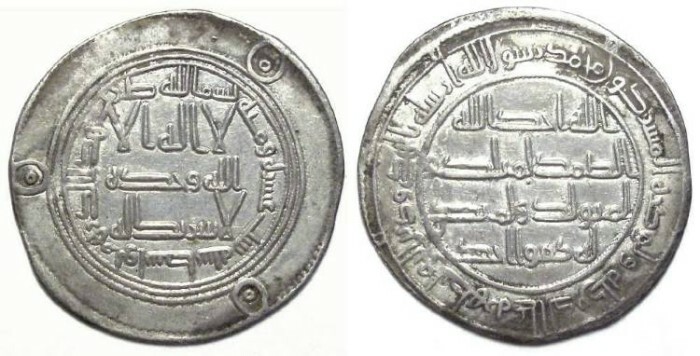 Reformed Umayyads silver dirhems do not name the Caliphs, but the coin are dated which tells us under which Caliph they were struck. Denomination : Silver Dirhem. Mint : Wasit. Reference : Mitchiner Islamic - 59 variety. Album-137. Size : 26.9 x 28.2 mm. Weight : 2.71 grams. Obverse and Reverse : Arabic inscriptions.